Bose was born in Calcutta, India, on January 1, 1894. India was for most of his life a colony of Great Britain, and the teachers and professors who were sent from Great Britain to India often felt Indian students were inferior. Such discriminatory attitudes were reflected in the college physics laboratories that Bose used, which were often poorly equipped and run by professors who didn’t take the students seriously. Nevertheless, Bose earned a doctorate from the University of Calcutta. In 1914 a new science department opened at the University of Calcutta, the oldest and largest university in India. It was funded by wealthy contributors in India who required the teachers to be Indian rather than European. Bose and his friend M. N. Saha were the first two Indian scientists appointed to the new University College of Science. Together they published several papers, including, in 1919, the first English translation of ALBERT EINSTEIN’s papers on relativity. Five years later, in June of 1924, Bose sent Einstein a paper in which he demonstrated mathematically that light energy must be transferred in tiny bundles, which we now call quanta. More than 20 years earlier, German scientist MAX PLANCK had first made such a calculation, which established the basis for quantum theory but used some assumptions and methods from nineteenth­century classical electromagnetic theory. Bose was the first to see how the fundamental ideas of the new theory could be derived from basic properties of space and energy, without using older theories. Einstein liked the paper, translated it into German, and had it published for Bose, thus beginning a lifelong collaboration between the two scientists. Bose’s purpose in his 1924 paper was to simplify and purify the foundation of quantum theory. But Einstein realized that Bose’s work accurately described the behavior of an ideal gas at the atomic level in terms of quantum theory. At very low temperatures, Bose and Einstein predicted, atoms in a gas would link together in a mysterious way and act as one great atom. This phenomenon was later referred to as a Bose ­Einstein Condensate. Bose also introduced what is now referred to as Bose ­Einstein Statistics in his 1924 paper. These mathematical rules developed by Bose and Einstein describe the behavior of bosons, elementary subatomic particles characterized by their spin. Bose traveled in Europe, meeting many of the leading scientists of the time, but he was quiet and shy and was never able to think of himself as their intellectual equal. He returned to India in 1926 and became professor of physics at the university in Dacca, where he taught until he returned to the University of Calcutta to teach in 1945. He retired from teaching in 1956 and died in Calcutta on February 4, 1974. 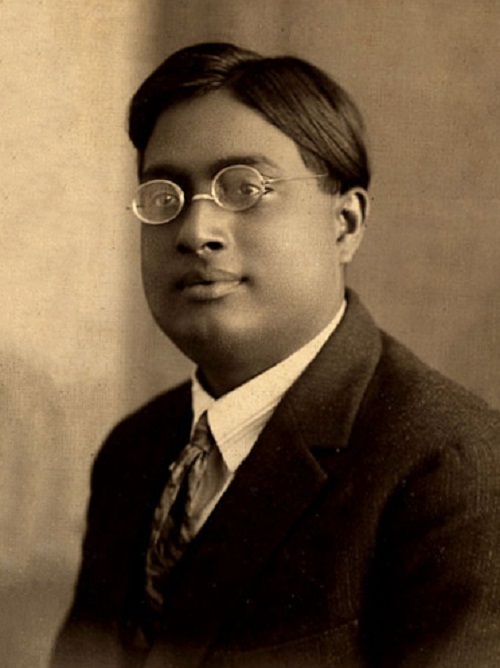 Bose’s work augmented the theoretical underpinnings of particle physics and quantum theory, and helped to develop quantum mechanics, a system of mechanics describing how elementary particles behave. Bose ­Einstein Statistics provided one step in the ongoing development of quantum theory and particle physics. Another set of statistics called Fermi­Dirac Statistics, also developed in the mid­1920s by ENRICO FERMI and P. A. M. Dirac, described the behavior of the fermion, an elementary particle having a type of spin distinct from the boson. Since the mid­920s other elementary particles have been discovered, including the pi­ and mu­meson predicted by HIDEKI YUKAWA in 1935, and “strange particles” (lighter than protons but heavier than mesons) discovered by British physicists Clifford Butler and George Rochester in 1947. They were so named because of their strange behavior in relationship to nuclear matter. In 1964 MURRAY GELL­MANN and American scientist George Zweig independently proposed that these various elementary particles were made of smaller components that Gell­Mann later termed quarks, the word still used today. The Bose­ Einstein Condensate, in which atoms in a gas condense at very low temperatures, has contemporary ramifications. In 1995 two American scientists succeeded in cooling a few million rubidium atoms down to less than a degree above absolute zero: the atoms merged, the first example of a Bose ­Einstein Condensate in a laboratory. Electrons in superconductors, metals that have no electrical resistance at low temperatures, can pair up and act just as Bose and Einstein predicted. While practical applications for the Bose ­Einstein Condensate have not yet been developed, the model of behavior they provide—even about superconductors—is invaluable. Superconductors are already useful in making powerful and energy ­efficient magnets. Posted on March 5, 2015 by Natalie. This entry was posted in Scientists and tagged quantum mechanics. Bookmark the permalink.